Flickr has rolled out a new app on the Samsung Gear VR, letting users immerse themselves into 360-degree photos in virtual reality. The company has a library of over 14,000 equirectangular images, ranging from the Horseshoe Bend of the Colorado River to the Aurora Borealis. (Photo : Peter Macdiarmid | Getty Images)&nbsp Flickr launches a new app on the Samsung Gear VR, allowing users to immerse themselves into the 360-degree photos that the image repository has to offer. &nbsp The Flickr community has uploaded tens of thousands of 360-degree photos, where the current library consists of more than 14,000 “equirectangular” images. “[W]e respect the image quality of uploaded photos, and we want to be one of the best ways to access engaging virtual reality experiences,” Flickr says&nbsp When the Flickr app is opened, it will bring up a carousel of the top-curated 360-degree photos. Users will be able to choose from an assortment of images, taking their pick of choice of which time or place they’d like to be transported to — not in the literal sense, of course, but one of the closest ways to do so by far. To get a better idea of how the 360-degree images would look like, explore the selection of VR photos on Flickr’s dedicated VR page, ranging from the Aurora Borealis to the Horseshoe Bend of the Colorado River. 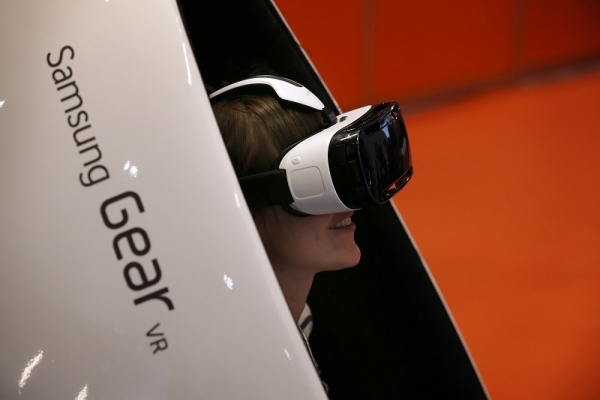 &nbsp Just recently, Samsung rolled out a web browser for the Gear VR, calling itSamsung Internet for Gear VR. With all the VR apps coming to the headset, it seems that the South Korea-based company is really stepping up its game in the virtual reality scene. &nbsp The new Flickr app for the Samsung Gear VR is now available for download on the Oculus Store.